The Roosevelt neighborhood plan called for emphasis on this corner to represent the west gateway to the Roosevelt neighborhood. This is a small project with a large role to fill, so all schemes include a tower element at the corner to give the building more of a presence. This scheme included a one way in-only access from NE 65th St on the north side. The corner is occupied by an entry into a retail space. 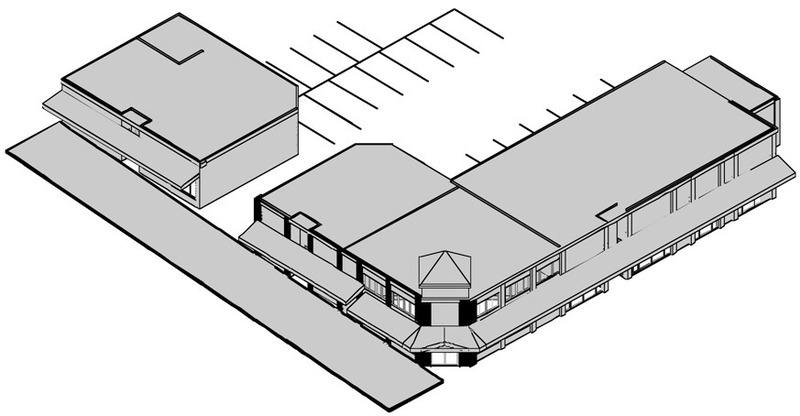 The final design incorporated the corner entrance into the retail space from this scheme and located a pedestrian breezeway where the vehicle access is on this scheme.